Inexperience often leads to unnecessary highway truck accidents. Requirements for obtaining a commercial drivers’ license, or CDL, is overseen by the Federal government and do not vary much from state to state. Even though holders of a CDL have gone through extensive training and classes, driving a big rig truck is difficult. Inexperience often leads to unnecessary highway accidents. Get in touch with a Missouri truck accident attorney immediately if you have sustained injuries due to an accident with a commercial truck where the driver has only recently obtained his CDL. Before a prospective truck driver can even begin the process of getting a CDL he must pass a medical exam. Health requirements for a CDL applicant are: 20/20 vision in both eyes and combined. The use of corrective lenses is acceptable but will be noted on your CDL. The ability to distinguish between the colors red, yellow, and green. The applicant must be able to hear a whisper from at least 5ft. A blood pressure at or below 160/100, with or without prescribed medication. A commercial driver cannot have diabetes whose treatment requires insulin injections. Controlled diabetes is an allowed condition. Blood sugar levels cannot exceed 200. A drug test will be performed to test for any narcotic abuse. Applicants with known heart conditions will be required to submit a stress test and a note from their physician stating that the applicant is capable of driving a commercial vehicle unrestricted. CDL holders are required to pass this physical exam at least once every 2 years. After the physical exam, the applicant must pass a CDL written knowledge test and then a skills test. It is highly recommended that the applicant train heavily for the skills test, focusing on vehicle maneuverability and coming to a stop. Insufficient practice may cause a newly licensed truck driver to cause an accident. A Missouri truck accident attorney will be very interested to examine just how much time an inexperienced driver devoted to training. A Missouri construction worker was struck by a semi as he laid new asphalt on a busy highway. The inexperience of the driver caused a delay in slowing down before entering the construction zone. The injuries sustained by the worker as a result of the impact led to his death and his families’ subsequent wrongful death claim was settled for $1,000,000. A more seasoned driver should have anticipated the need to reduce his speed well in advance thus avoiding a tragedy like this from occurring. Driving a big rig truck requires special skills and attention that may only be obtained from years of time spent behind the wheel. Many scenarios may present themselves to a new driver that he did not experience during his training. It is ultimately the responsibility of the company he works for to ensure that he has the knowledge to anticipate potential hazards and react appropriately. Failure to do so can cause serious injury to other motorists. A Missouri truck accident attorney will want to review not just your medical records, but the training logs of the inexperienced truck driver that caused them. From there he will be able to determine who bears the greatest fault and open your case accordingly. Get immediate help. 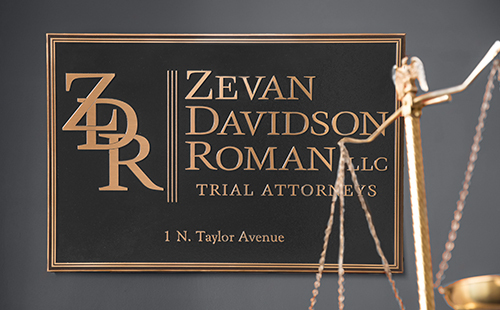 Contact the St. Louis truck accident lawyers at the Zevan and Davidson Law Firm today to schedule a free consultation by calling (314) 588-7200.